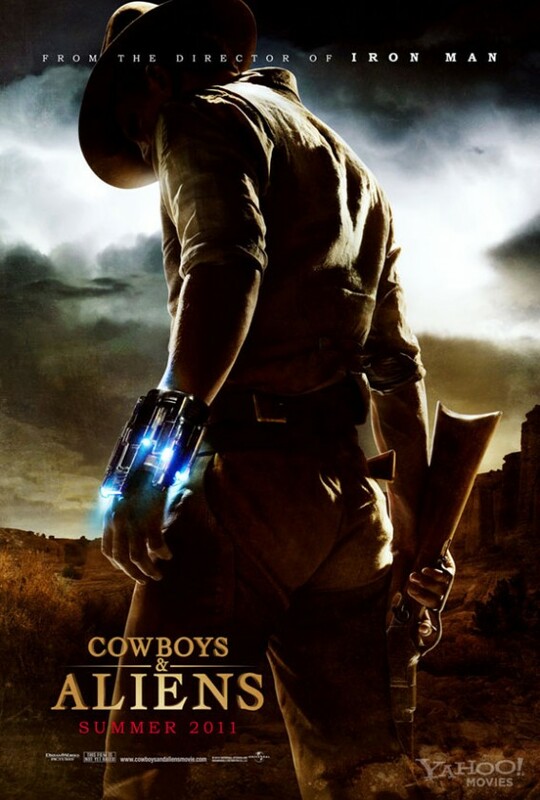 When you first hear about a movie called Cowboys & Aliens you will probably laugh and dismiss it as one of those b-movies with the ridiculous titles (eg Mega Shark VS Giant Octapus, etc). Then someone mentions that Jon Favreau, director of the Iron Man films, is sitting in the director's chair and maybe your interest in the film will pick up a bit. You go to imdb to look at the cast and you are surprised by the names you read. Harrison Ford, Daniel Craig, Sam Rockwell, Olivia Wilde, Clancy Brown and Keith Carradine. Nice, you think to yourself! Let's check out the crew too. What's that? Steven Spielberg and Ron Howard are executive producers? Matthew Libatique (Darren Aronofsky's DP in all his films except The Wrestler) is the film's cinematographer? Wow! This might turn out good! And then the teaser trailer hits the web and dispells all doubt you might have had about the film with the silly title. 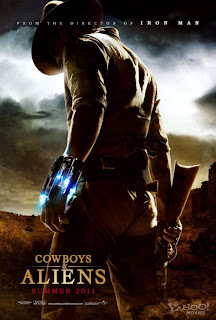 Consider me conviced and excited to watch Cowboys fight Aliens on the big screen! Second that! It seems really good and well shot. It's about time for Harrison Ford to play in a solid action film! I guess you loved BraveStar as a kid, right? oh, and one should not forget.....Bring back Firefly! !